On January 16th, 2019, DiDi announced that right-to-reject rules would be installed in 15 cities for test to address the safety concern regarding car-hailing services. On January 16th, 2019, DiDi (滴滴出行) announced new rules to address the safety concern regarding car-hailing services. The new rules clarified drivers’ rights to reject providing service or terminate service when encountering drunk customers. The rule aims to protect the driver’s safety. Since the car-hailing homicides happened in 2018, DiDi has restructured itself and attempted to make up the company’s public image through imposing new rules and policies. Back in November 2nd, 2018, DiDi led public research or so-called public discussion of the topic, “Can driver reject providing service to lone drunk customer?” Within a week, over 269 thousand people participated in the discussion. The research result indicates that 86% of voters agreed driver’s right-to-reject while the rest held the opposite opinion. In December 2018, DiDi firstly tried to install the right-to-reject rules in Shenzhen, China only, and after a month of trial, the new rules functioned as expected and few drivers and customers abused the right-to-reject rules when DiDi examined all rule-related reported cases. Customers’ concerns that if drivers may abuse the rule even if customers are under sober state. DiDi addressed that all abusers would be accordingly punished to protect both parties’ welfare. In the latest news, the new rules will be applied to 15 cities in total. While DiDi’s business has spread to every city, 15 cities are only a small portion of the whole. 15 cities are Shenzhen, Shanghai, Chengdu, Shijiazhuang, Kunming, Guangzhou, Dongguan, Wuhan, Tianjin, Shenyang, Foshan, Changsha, Zhengzhou, Ji’nan, and Nanjing. The right-to-reject rules said that if the driver thinks the drunk passenger might endanger the upcoming trip, the driver is allowed to cancel the order; if during the trip, the drunk passenger shows any tendency to harm, the driver can terminate the order at once; upon arrival, if the drunk customer passes out or refuses to leave, the driver may call police or DiDi platform for assistance or help. Under three scenarios, DiDi drivers reserve their right-to-reject and hence protect themselves from being harmed by passengers under alcohol influence. The homicides occurred to passengers stirred up the public, but few know the murders happened to DiDi’s drivers. Hence, the new rules show DiDi’s humanity in caring for its drivers. Beyond, another research launched by DiDi is ongoing: should car-hailing passengers be required to register real-name on the platform? Nearly 90% participants thought passengers should be real-name registered while the others did not agree so. The passenger real-name registration comes from the concern of protecting DiDi drivers’ safety. 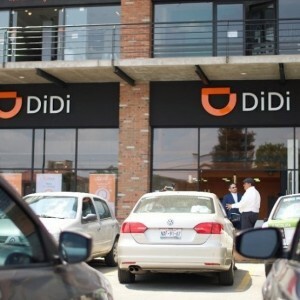 To be a DiDi driver, the identification is complicated – drivers must submit ID information including driver license and registration and face recognition. But on the contrary, to be a car-hailing service user, the registration is too simple – as long as cellphone number provided. The lack of regulation on the terminal has introduced risks and dangers not only to DiDi drivers but also to DiDi itself. However, the passenger real-name registration is still inthe research process, and no act has been taken by DiDi yet. Since the right-to-reject rules has been in test shortly after the closure of the survey, passenger real-name registration policies can be expected shortly.